Get cooking ideas for Mother's Day by downloading our Mother's Day Ultimate Breakfast: 12 Mother's Day Recipes for Breakfast eCookbook. Find Mother's Day breakfast recipes and easy Mother's Day recipes for brunch for a perfect Mother's Day meal. Mom does so much all year to take care of and feed the family. If you’re searching for cooking ideas for Mother’s Day and don’t know what to make for a Mother’s Day meal, AllFreeSlowCookerRecipes has great Mother’s Day recipes and menus ideas. Let Mom know you appreciate her this Mother’s Day with delicious slow cooker Mother’s Day recipes for breakfast. Brunch and breakfast recipes for Mother’s Day can easily be made in your slow cooker! Many Mother’s Day breakfast recipes can be prepared the night before and even cook all night—then you’ll wake up to amazing breakfast aromas! Whether you’re looking for a breakfast in bed recipe, or more elaborate Mother’s Day breakfast recipes, you can create a Mother’s Day breakfast she’ll never forget with our handy eCookbook, packed with Mother’s Day meal ideas. This latest eCookbook, Mother’s Day Ultimate Breakfast: 12 Mother’s Day Recipes for Breakfast, will offer you some great slow cooker recipes for Mother’s Day breakfast or brunch you can try this Mother’s Day. Just download our free eCookbook, Mother's Day Ultimate Breakfast: 12 Mother's Day Recipes for Breakfast today! Download your copy of Mother’s Day Ultimate Breakfast: 12 Mother’s Day Recipes for Breakfast today. 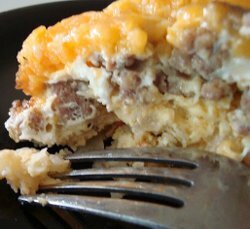 Among slow cooker breakfast recipes, breakfast casserole recipes are some of the easiest and they're super tasty! This free eCookbook is filled with breakfast casserole recipes that would be great for your Mother's Day meal. Slow cooker casserole recipes are handy because they're one-pot dishes and they're super flavorful. In our free eCookbook, Mother's Day Ultimate Breakfast: 12 Mother's Day Recipes for Breakfast, you will find easy casserole recipes which include popular ingredients such as sausage, ham, tater tots, cheese, hash browns and more. If you're looking for Mother's day meal ideas that are easy to prepare and are sure to satisfy, you've got to try one of the breakfast casserole recipes featured in this free eCookbook. You'll find this recipe for Cheesy Breakfast Casserole and more inside our free eCookbook, packed with Mother's Day recipes and meal ideas. Did you know it's possible to make pancakes and French toast in your slow cooker? The recipes in this free eCookbook, Mother's Day Ultimate Breakfast: 12 Mother's Day Recipes for Breakfast, prove it is possible! 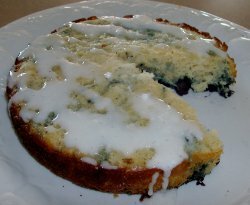 In this free eCookbook, you'll find slow cooker breakfast recipes, such as this one (left) for Blueberry Pancakes With Lemon Glaze. You'll also find easy breakfast recipes, such as our recipe for Slow Cooker Strawberry French Toast Casserole. Stretch the limit of what you think is possible to make your in slow cooker by making slow cooker breakfast recipes and breakfast overnight recipes that will wow everyone at the breakfast or brunch table. Mom will love these Mother's Day meal ideas and so will the entire family! Mother's Day recipes can be sweet and have an element of surprise! Many of the Mother's Day recipes and meal ideas found in our free eCookbook can be used if you're looking for a breakfast in bed recipe. Mom will be so surprised and excited that you thought of her this Mother's Day, whether you're making her a breakfast in bed recipe, or cooking up a Mother's Day meal for the entire family. Planning your Mother's Day recipes and meal ideas ahead of time will make preparation of the Mother's Day meal much easier on the actual day. Don't search for cooking ideas for Mother's Day too close to the holiday, or else you'll be frazzled! Get Mother's Day recipes and meal ideas ahead, by downloading our free eCookbook, Mother's Day Ultimate Breakfast: 12 Mother's Day Recipes for Breakfast. Mom will be so surprised with the Mother's Day breakfast you've prepared! Sometimes the best approach for Mother's Day recipes is to go back to the basics. Who doesn't love oatmeal? 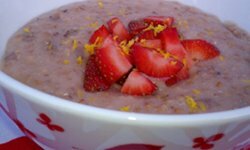 In our free eCookbook, we have a classic recipe for oatmeal, as well as some easy breakfast recipes for oatmeal that will surely wow Mom! Did you ever imagine that oatmeal could taste like pink lemonade or a blondie dessert? Well it can, thanks to our slow cooker breakfast recipes found in our free eCookbook. Plan a Mother's Day meal mom will never forget with our creative and easy breakfast recipes for oatmeal! Thanks to our free eCookbook, you can learn how to do some slow cooker baking. 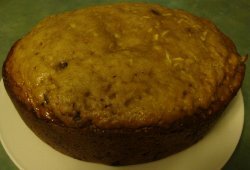 To try slow cooker baking, we've included in our free eCookbook a recipe for Chocolate Chip Zucchini Bread. This is one of those easy breakfast recipes that doubles as a handy slow cooker dessert recipe for any occasion. Also in our free eCookbook, you'll find a truly unique hot chocolate drink recipe for Lavender Rose Cocoa Provencal. This hot chocolate drink recipe is perfect for Mom! The fragrant aromas in this drink, mixed with rich chocolate, make for a perfect treat for your Mother's Day meal. Serve it as a breakfast in bed recipe or add it to your Mother's Day breakfast meal. Three weekly emails with slow cooker recipes, tips, collection pages and more. As a slow cooker enthusiast, I know you can see the value in this free eCookbook. Practice your slow cooking skills and learn how to make slow cooker breakfast recipes from scratch! Our easy breakfast recipes prove that Mother's Day recipes and menus can be easy and fun to plan. Don't fret looking for cooking ideas for Mother's Day. Mother's Day recipes and meal ideas are at your fingertips when downloading our free eCookbook, Mother's Day Ultimate Breakfast: 12 Mother's Day Recipes for Breakfast. 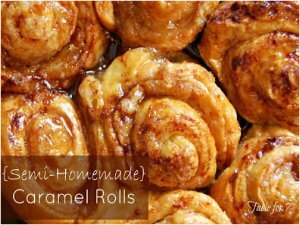 Semi-Homemade Slow Cooker Caramel Rolls - Your Mother's Day ultimate breakfast menu wouldn't be complete without these slow cooker caramel rolls. Show Mom just how sweet she is this Mother's Day with these sticky and sweet rolls made in your slow cooker. Looks like really great recipes Thank you! I'm excited to try them.. I want to make all the recipies lol it looks yummy..